I have been a big fan of Hellen Jo‘s work since first coming across her amazing Jin and Jam comic that Sparkplug published. Since then, her work has focused producing paintings that capture a variety of subjects in a really compelling way. 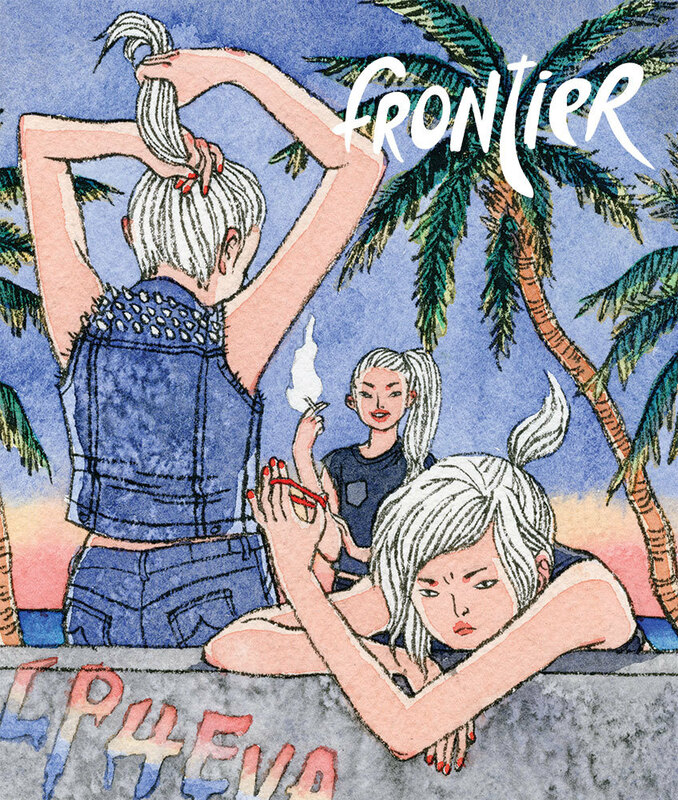 I am super happy to have a copy of her new book, Frontier 2, the second in a series of small art books published by http://www.youthindecline.com/product/frontier-2-hellen-jo. Enjoy this interview I did with her. It’s been a long time coming and I was happy we were able to talk. Hey Mumbles, I thought you were throwing in the towel? My eardrums are killing me, please stop. Gotta listen to this again. This lady rules.